It’s a bright and early start at the Playmobil Farm! Head out in the morning to feed the chickens, pigs and cows in their pens. You can milk the cows with the machine before heading into the farm for a quick coffee break. If the stalls are dirty, you’d better get your fork and give the animals fresh bales of hay. Use the hoist to bring heavy supplies into the hayloft. In the afternoon, head out into the orchard and pick tasty apples off the tree and collect them in your bucket. 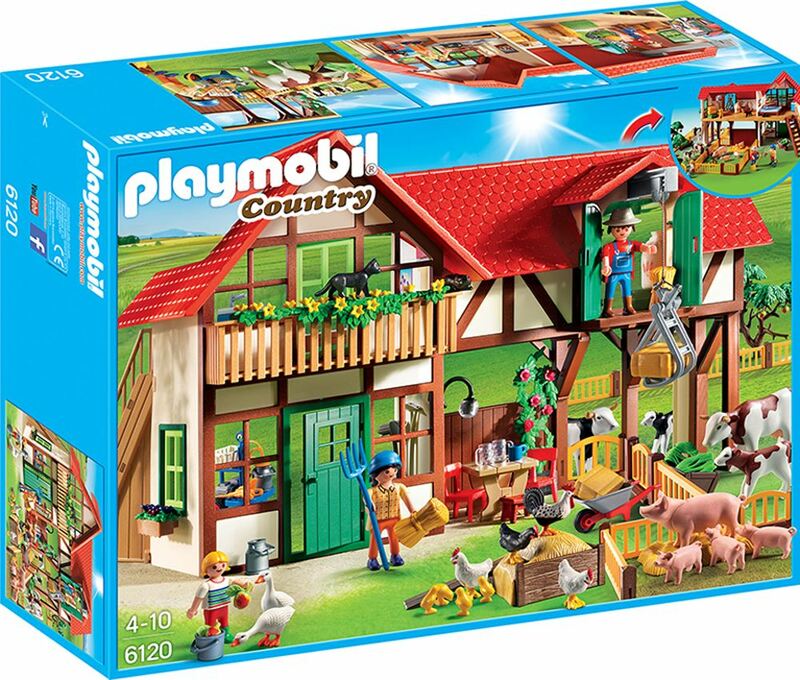 Includes: large farm, 3 figures, animals and accessories. Part of the Country and Pony range. Age 4+ years. Distributed in New Zealand by Holdson.